Jane Iredale Mineral Makeup – What makes this makeup so special? There are many of mineral makeup lines on the market and they all have a natural SPF, which is great. 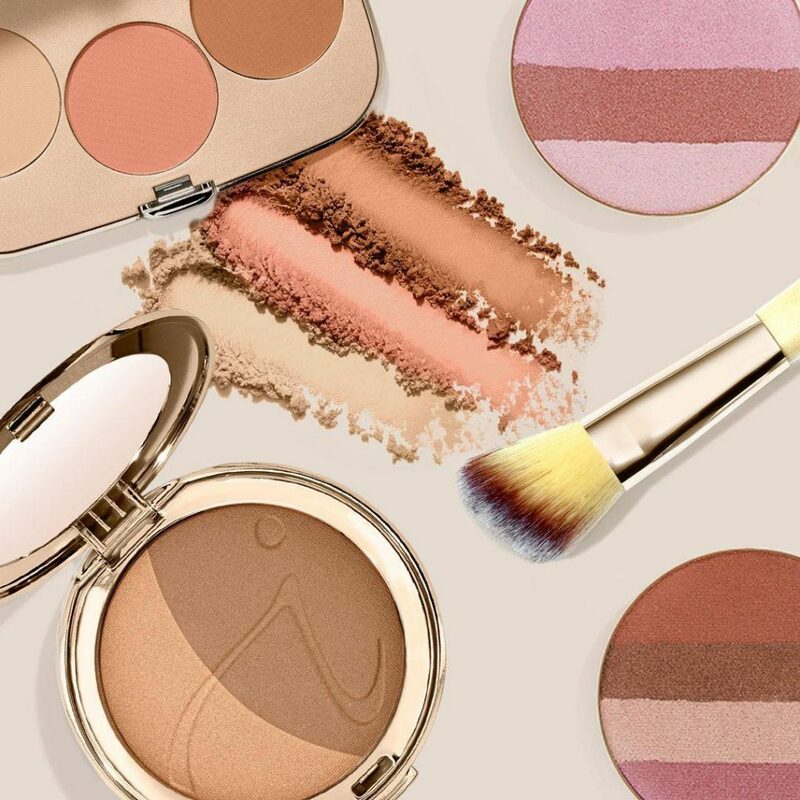 However, all of these lines are not created equal and Jane Iredale’s mineral line stands above the rest for several reasons. Jane Iredale formulated the first SPF mineral base more than 20 years ago. She selects the highest quality minerals available and uses organic ingredients whenever possible. Her full line of cruelty-free skincare makeup enhances natural beauty and actually nourishes the skin. There is nothing in these product that doesn’t absolutely need to be in them. There are no parabens, talc, phthalates, synthetic fragrance and they use NO GMO ingredients. These products are clean, good for your skin and are beautiful to wear. Jane Iredale is a certified cruelty-free cosmetic brand, recognized by both Leaping Bunny and PETA for their voluntary commitment to no animal testing at every stage of production. They are also recommended by The Skin Cancer Foundation as an effective broad-spectrum sunscreen. Our favorite thing about Jane Iredale’s mineral makeup line, however, is the fact that it looks great on your skin. We can’t say that about other mineral lines. We have found that other lines settle in the imperfections and wrinkles on your face, accentuating flaws. Jane developed amazing hydrating sprays, which are customized for each skin type and create a flawless finish by setting the makeup perfectly. It also gives the makeup staying power. Several spritzes of one of her hydrating face sprays refreshes and sets your makeup like no other mineral makeup can. Look radiant and love the skin you’re in with Jane Iredale – The Skincare Makeup! Contact us today at ReFresh Aesthetic Center in Whitefish Bay, WI, to learn more about this amazing makeup line!